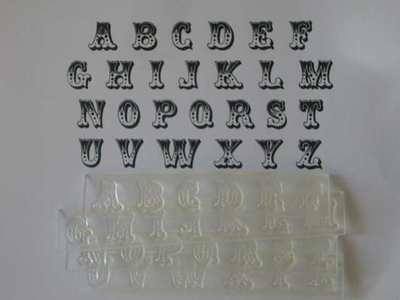 Alphabet stamp set, upper-case, in Circus font, letters from A-Z. 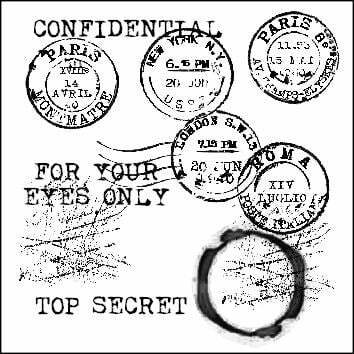 (about 1.2cm high) These stamps are in strips as shown, just snip them apart with scissors. Tip from Shirley H - use the side of Lego blocks as mounts, what a fab idea!